The editor says goodbye to the magazine that introduced him to the amazing world of F&I and the automotive retail industry at large. 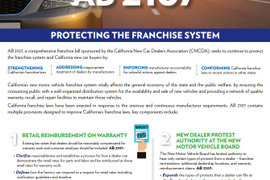 The editor believes recent regulatory activity should serve as a warning to dealers who haven’t dusted off their Red Flags compliance programs in the years since the rule took effect. 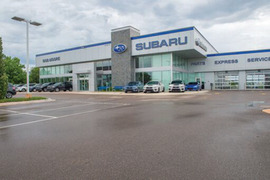 The F&I team at Bob Moore Subaru of Oklahoma City is proving every day that Subaru buyers are F&I product buyers. Now their in the running for F&I and Showroom's F&I Dealer of the Year award. 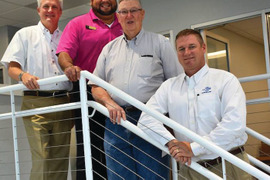 Mike Wilson has worked for a number of organizations since he started selling cars in 1985, and none have made him more proud to be in the business than the Nyle Maxwell Family of Dealerships. 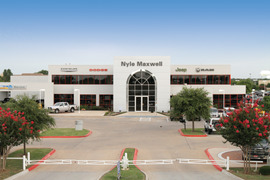 Now the Texas-based group is in the running for the magazine's F&I Dealer of the Year award. 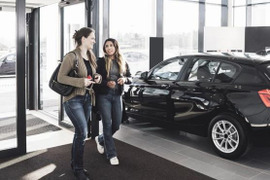 To become an F&I manager at this Carlsbad, Calif.-based Buick-GMC-Cadillac store, candidates must complete an eight-week course addressing a number of topics related to ethics and compliance. 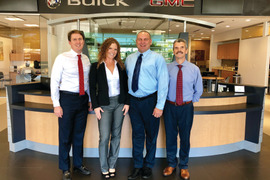 The dealership is in the running for the magazine's F&I Dealer of the Year award. Dealer Steve Johnson knows how quickly word spreads when you operate in a small town. 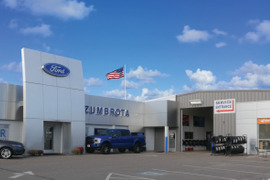 That’s why reputation means more than profitability at his Zumbrota, Minn.-based Ford store. It's in the running for the magazine's F&I Dealer of the Year. Prince Automotive Group is proof that operating high-performance finance departments while maintaining the highest level of ethical practices is possible. Now it's in the running for F&I and Showroom's F&I Dealer of the Year award. 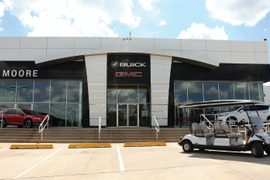 Bob Moore Buick GMC is a process-driven machine, but that’s just one of the reasons the Oklahoma dealership’s F&I department is putting up big numbers. 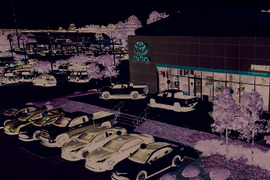 It's in the running for F&I and Showroom's F&I Dealer of the Year award. In an unexpected decision, California Gov. Jerry Brown vetoed a dealer protection bill unanimously passed by the California State Legislature. The sticking point was a 'complex formula' for determining dealer reimbursement on warranty and recall work. The Federal Reserve on Wednesday raised interest rates for the third time this year and signaled it will raise the cost of borrowing again in December. 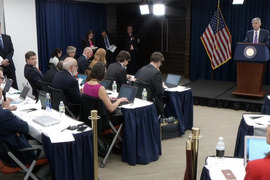 Industry economists said it will not get better for consumers or the industry from here. 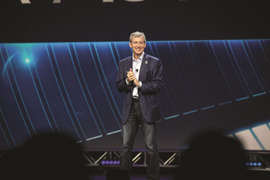 The tech firm confirmed this week reports that COO Mark O’Neil plans to retire this February. He’ll depart almost four years after Cox’s acquisition of Dealertrack, a company he led as CEO for about 14 years. 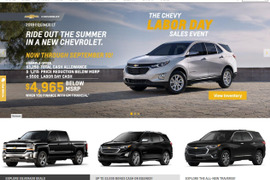 According to the U.S. Attorney’s Office, Hallman Chevrolet falsified loan documents as well as costume jewelry brought in by customers as collateral for purported down payments over a six-year period beginning in 2009. The dealer, David Hallman, accepted responsibility for the scheme and agreed to pay a $1.4 million fine and more than $737,000 in restitution to end federal prosecution. 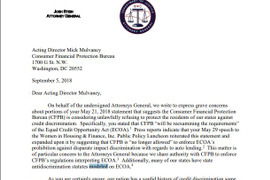 A coalition of 14 attorneys general warned CFPB Acting Director Mick Mulvaney against taking any action to reinterpret ECOA as not providing for disparate impact liability — signaling that the fight over dealer participation might not be over. Affordability remains a concern despite finance sources continuing to tighten underwriting standards, according to the firm. Consumers, however, seem unfazed, with outstanding balances climbing to a new record high.